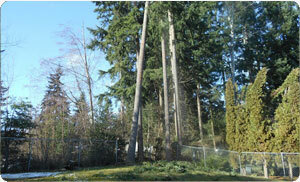 Are you in need of specialized services of a certified arborist in Parkland, WA? If so, then you are at the right place! Since 1986, Hunter's Tree Service has been the foremost source in this area for a qualified and highly knowledgeable local arborist. Years of care and nurturing goes into growing saplings into mature trees. Quality tree service is actually an essential investment that can deliver substantial results by ensuring attractive and healthy trees that enhance the curb appeal as well as the value of the property they stand on. 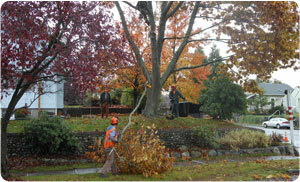 Our certified arborist provides comprehensive tree care services. From planting new saplings to overseeing their healthy growth to routine tree trimming to restoring damaged trees, we do it all. Our certified arborist in Parkland will thoroughly inspect your trees to evaluate their condition and their need for nutrients. And, if you need any advice regarding tree maintenance, improving the yield of fruit trees or legal matters concerning trees, our arborist can help. Why Choose Us for Tree Care Services in Parkland? Well-maintained trees are a great asset that increases the beauty, purifies the air around them and enriches the daily living of people on the property. Poorly maintained trees, meanwhile, can be a big liability. It is important to choose the right professionals for tree care services in Parkland. Hire our certified arborist to ensure that the trees on your residential or commercial property get the superior care they need and deserve. The search for reliable certified arborists ends at Hunter's Tree Service. 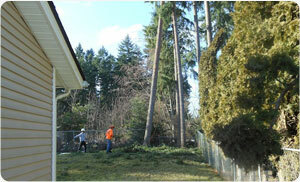 Call (253) 777-1938 for tree care services in Parkland.